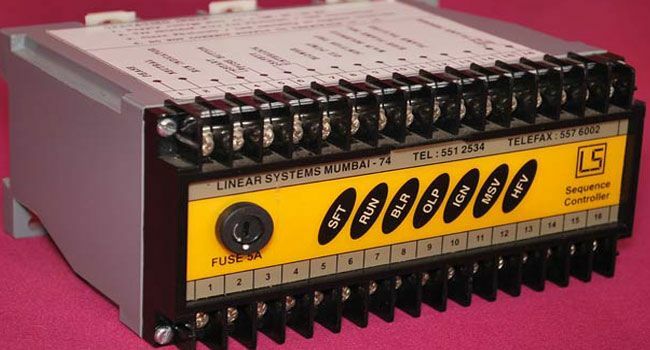 Linear Systems: What Are The Merits Of Sequence Controllers? What Are The Merits Of Sequence Controllers? A Sequence controller is a device that is used to put the boilers through its motion at a regular pace. It controls the functioning of the boiler when it starts and when it moves to the next phase of heating. By the way of this device, you can control energy waste. It also prevents hot water from being wasted. It is one of the safest and easiest ways to control the working of boilers. Using the device for single boiler can be useful as it fires up the boiler at the optimum time and ensures there is no wastage of energy. You can control and monitor the firing up occurs. Sequence Controller Manufacturers offer its multiple designs and types that are used in different applications. It also has a start and stops system that allows its user to only required heat water, so, the rest never gets wasted. It most probably used when you need to control more than just one boiler at a time. With this device, you are allowed to select more than one boiler and control and monitor them easily. It saves your utility bills and reduces your running costs. It has a great life, so, you don’t need to spend a huge amount repeatedly. Its rugged structure, low maintenance need, and reasonable price increase its popularity among its users. If you also want to take its benefits, so, call Linear Systems. Being the agile Burner Controller Manufacturers, we offer the products that control the burners and boilers for the safety of your application. Moreover, we also give 2 years warranty on the products. So, why wait and what for? Contact us now to place your order.